Funding for programs such as Accessory Dwelling Unit (ADU) fee reimbursement and support for Sonoma Overnight Support's The Haven shelter. 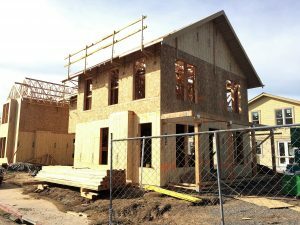 Housing developments that recently received approvals include the Altamira Apartments affordable housing project and the Oliva Apartments project. When completed, these projects will add a total of 54 affordable rental units and 24 market rate rental units to Sonoma’s housing stock. According to the annual Building Activity Report, construction permits for a total of 35 residential units were issued in 2018. To stay updated on pending housing projects and initiatives in Sonoma, subscribe to our City E-Newsletter and to meeting notices for City Council and commissions of your choosing.